Hmm... 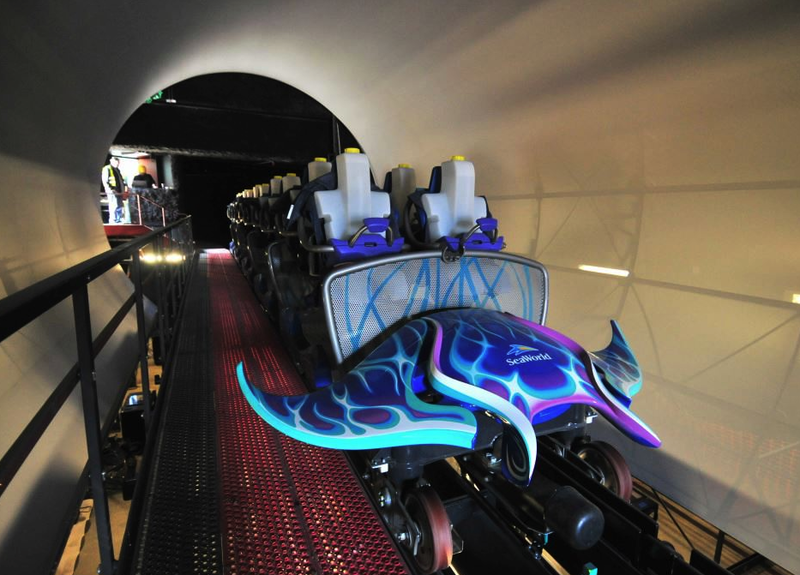 I have never heard a Manta Ray in person, but I'm hoping that it doesn't really have the ability to make the same sound that Manta at SeaWorld San Diego is making! The park has started full scale test runs of the new-for-2012 coaster, which features two separate launches, one of which is full of special effects (see the photo below of that launch). It seems as though the coaster's wheels have some breaking in to do, at least that's how they sound. The zippy little ride looks like a great deal of fun, not too intense that it will scare away younger riders, but still thrilling enough that older kids and adults will enjoy the ride. And while we've seen it before in detail the front car is still rather beautiful, don't you think? Manta is scheduled to open at SeaWorld San Diego on May 26th.